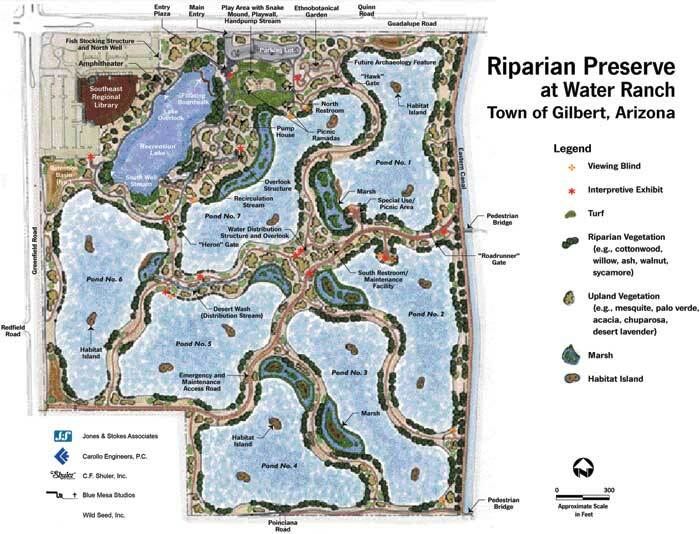 "The Preserve is organized into various vegetative zones ranging from marshlands to native riparian and upland vegetation areas. Approximately 298 species of birds have been identified on the site, and many insects, fish, amphibians, reptiles, and mammals have found homes there as well. Over 4.5 miles of trails weave through the park, and there are interpretive education panels on wildlife and vegetation throughout. Viewing blinds have been established at various locations near the edge of several ponds to further enhance the visitor’s experience. A floating boardwalk crossing the northern end of the lake allows visitors a close up view of the fish and ducks on the water. Additional educational areas include an ethnobotanical garden, a paleontology dig site, gardens for pollinators including a hummingbird garden and butterfly garden, plus a state-of-the-art observatory and hilltop outdoor classroom. The preserve also includes restroom facilities, picnic ramadas, and a play area." Meet in the parking lot. Entry is free.